Notes: Opened on the historic Liverpool and Manchester Railway of 1830 Barton Moss replaced an earlier station that had been located further to the west. The station would have been a fairly simple affair consisting of two platforms and basic waiting facilities. 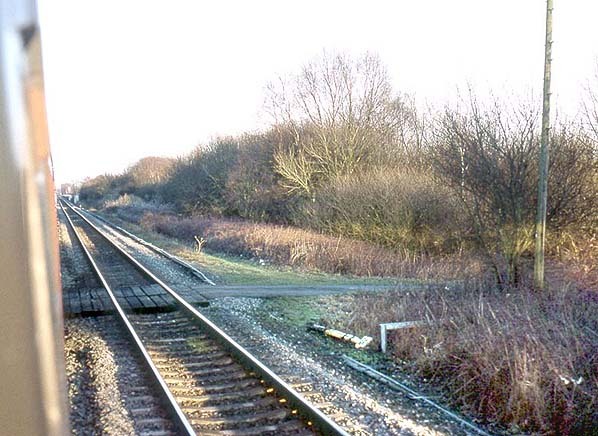 The station was located in a sparsely populated area on the east side of a level crossing. It was a very early closure in 1929. This 1949 map shows the second Barton Moss Station. The tramways to the south of the line were for peat extraction.